If you are on this site you have probably been diagnosed with skin cancer on your face. You are very likely concerned about this diagnosis and curious about treatment options. You may even have an appointment already scheduled in order to have the cancer resected and reconstructed by the same physician. Although reconstruction immediately after resection is routinely performed because of its convenience, it may not be the ideal approach to achieving the long term aesthetic results you are concerned about. Dr. Hootan Zandifar, M.D. 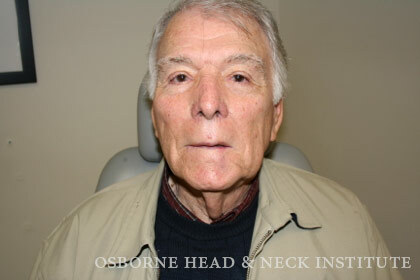 is double board certified in Facial Plastic and Reconstructive surgery and Otolaryngology – Head and Neck Surgery. As the director of the skin center he specializes on reconstructive surgeries of the head and neck and focuses mainly on aesthetically pleasing reconstruction after skin cancer surgical excision. He has run the resident skin cancer clinic at Indiana University and has honed his skill to incorporate aesthetic techniques in closure of skin cancer defects. Reconstruction of the skin of the face and the head and neck is more complicated than other parts of the body for several reasons. First because the face is not readily covered with clothing, unsightly scars can be easily noticeable and pose social challenges. Second, various structures of the face such as the eyes, nose, lip and ear have important functions that need to be considered during reconstruction. 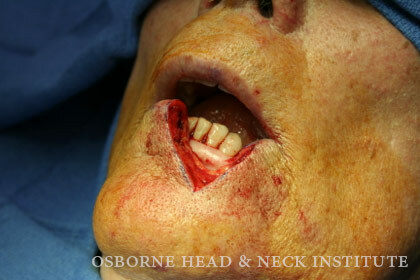 Therefore, proper pre-operative planning, meticulous cosmetic and functional techniques as well as appropriate post-operative care are essential to achieving a cosmetically and functionally appropriate reconstruction in the face and the head and neck region. A: Certain locations on the face pose challenges in reconstruction. Locations such as the lip, nose and eyelids have vital functions and as such careful attention needs to be paid during their reconstruction. Dr. Zandifar focuses solely on the reconstruction of the face. His training incorporates years of Head and Neck Surgery and Cosmetic and Reconstructive surgery of the Head and Neck, where all cosmetic and functional aspects of the facial structures are studied. This makes him the ideal surgeon for reconstruction of these regions.